The picture shows shingles on the eyelids and around the eyes. The disease is accompanied by severe itching and soreness. Since the disease is caused by viruses, the risk of secondary infection is high. 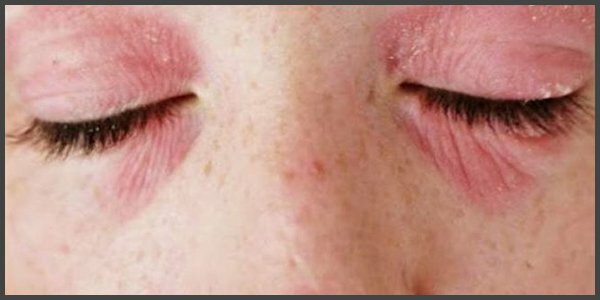 The appearance of rash around the eyes requires urgent medical attention and treatment. Both outpatient treatment and in-patient treatment are possible. The lack of treatment can lead to a considerable decrease in vision and even its loss because of infections.